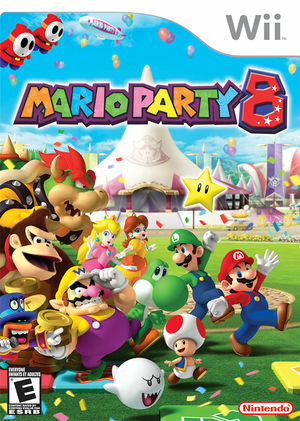 Mario Party 8 (マリオパーティ8 Mario Pāti Eito) is a party video game and the eighth installment in the Mario Party series (tenth in Japan). It is the first title in the series to be released for the Wii and the first Mario Party title to have the ability to use Mii characters. The 16:9 included in the game only works in menus and the title screen so a Widescreen fix is necessary. The built-in Widescreen Hack causes Board Clipping and Reflection Issues. The following Gecko code works as a replacement, causing less issues. To avoid conflicts, make sure that Widescreen Hack is disabled while using this code. The NTSC-U version code has it working only if the Wii Aspect Ratio is set to 16:9. The graph below charts the compatibility with Mario Party 8 since Dolphin's 2.0 release, listing revisions only where a compatibility change occurred. This page was last edited on 1 March 2018, at 07:34.